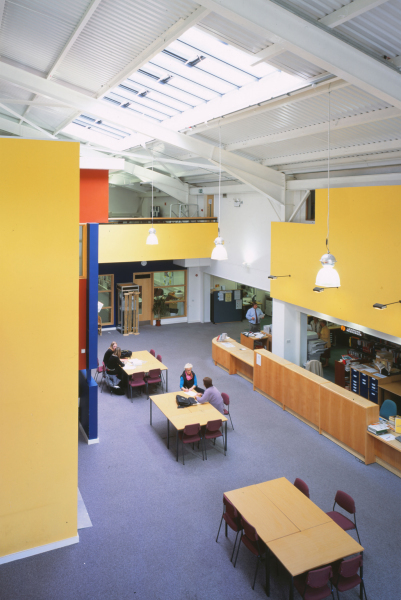 Conversion of former builders merchant into a new library, business and information centre. Baart Harries Newall have been engaged in the extension and remodelling of Shrewsbury Sixth Form College since 1985, having won the initial commission through a process of competitive bid and interview. 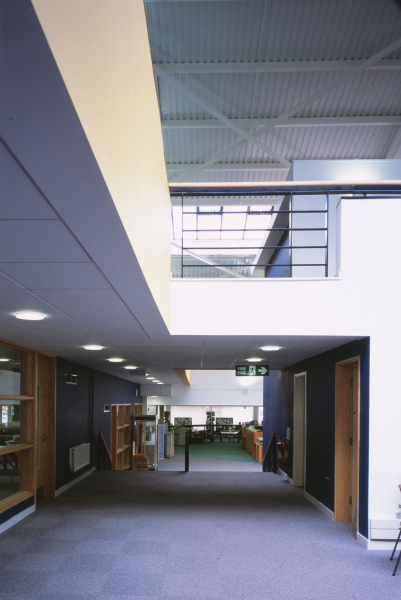 The initial phase was for the conversion of Mercian House, a formers builders merchants, into the new Library, Business and Information Centre. 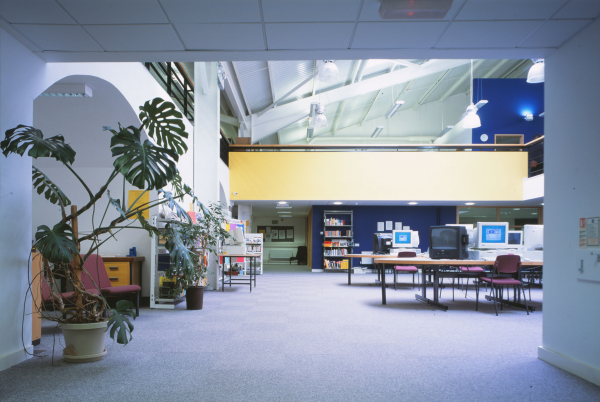 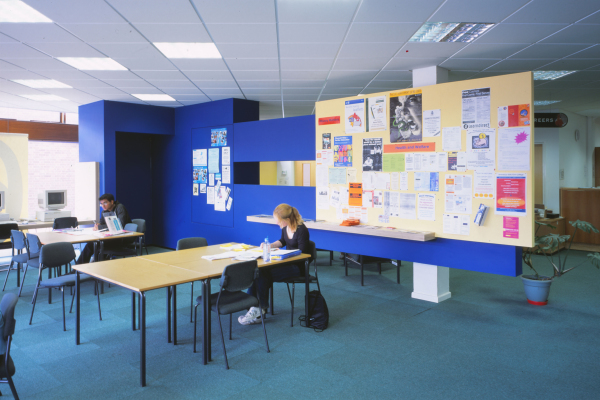 The existing library was then converted into teaching accommodation. 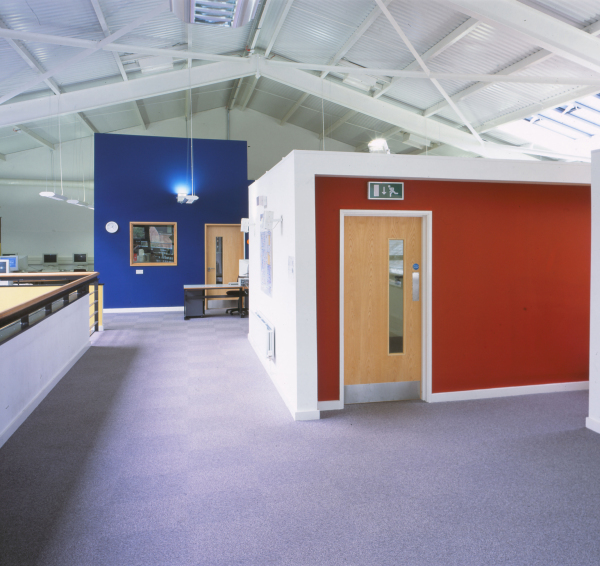 Subsequent investigations included a feasibility study for a new sports hall, and utilisations studies of existing buildings and site generally. 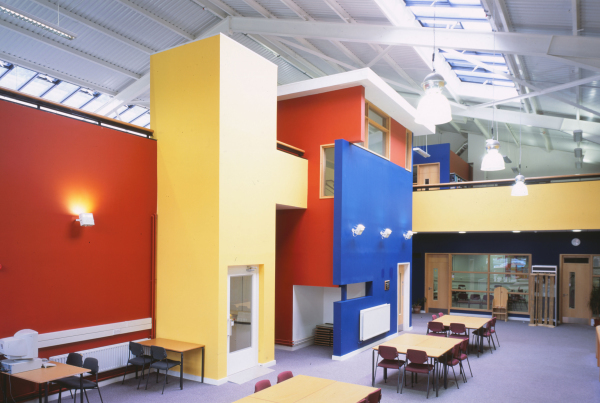 Attention was eventually focused upon the existing warehouse at the rear of Mercian House, as the only opportunity for the college to create a significant area of new accommodation: with the flexibility to provide conventional teaching, open learning, IT based self-study, and university linked life-long training in literacy, science and the arts.